Poinsettias have been known to symbolize purity, good cheer, and success, but they are probably most recognized at Christmastime. They are native to Central America and Mexico, and flower during the wintertime. Some people even call them "Flores de Noche Buena," or "Flowers of the Holy Night." 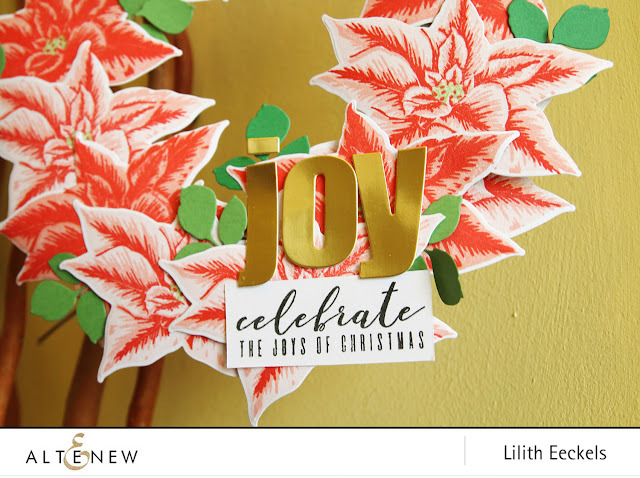 Our gorgeous poinsettia can be stamped in four layers, and is accompanied by winter-themed sentiments. 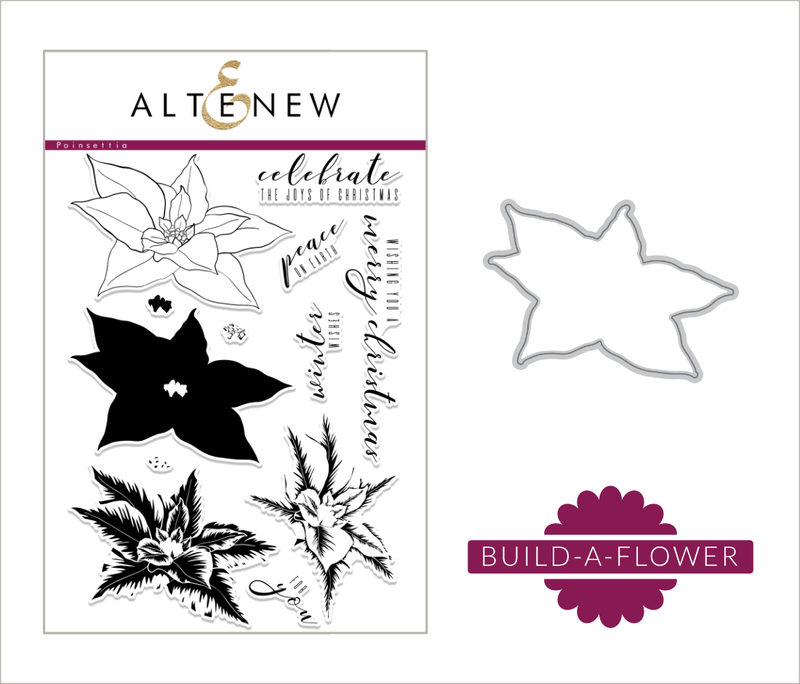 Build-A-Flower: Poinsettia is sure to become a cherished part of your stamp collection! You can find more inspiration on the card and scrapbook blog. I created a little wreath to hang in our home once Christmas comes. I stamped several images using variations of reds from the RED SUNSET ink set and then cut them out. I added some green leaves from the FANTASY FLORAL DIE SET. All I had to do was place the elements onto some card that I had cut out, add a sentiment and hang it up. Thank you so much for stopping by. Have a lovely week. ❤️ ❤️❤️ Your beautiful Poinsettia wreath! Absolutely stunning! TFS! I love this wreath. Very special. What a nice gift this would make for that special friend. Thank you so much for sharing. 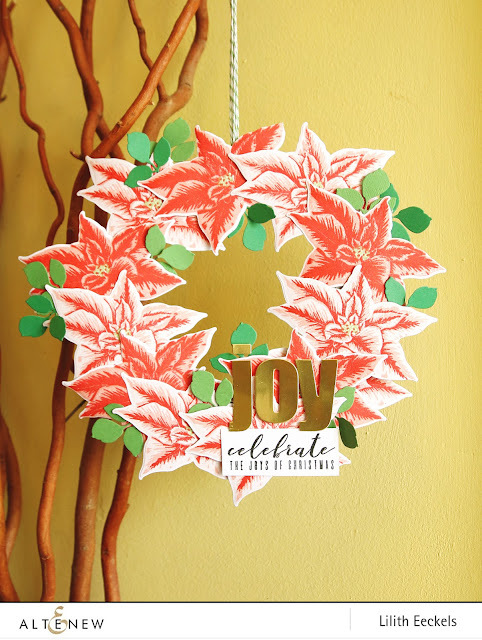 Adorable wreath you've made using the Poinsettia and die! This is a beautiful ornament. Great job. This is a great way to use the new build-a-flower. Thanks for sharing your creativity. This is a gorgeous wreath ! Congratulations ! Beautiful project with these gorgeous poinsettia flowers! Love your wreath! Wonderful idea to make a wreath. Beautiful wreath! Such a great way to use this set! This is a wreath I'll definitely be doing! Awesome! 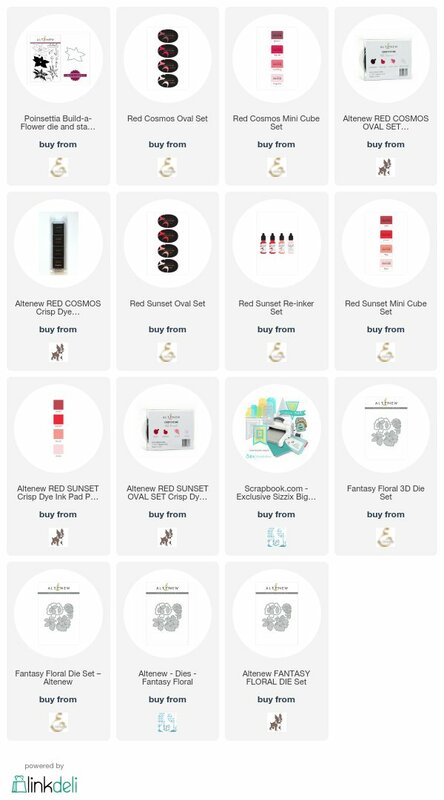 Craft Friends Blog hop Winner.